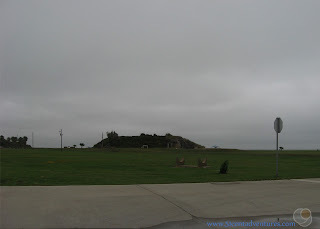 Description: These days Fort Travis Seashore Park is a nice place for a picnic. But years ago this was the site of military fortifications that insured our country was ready to defend against attacks. These gun batteries are still intact, and are on display alongside the picnic tables and barbecue grills. 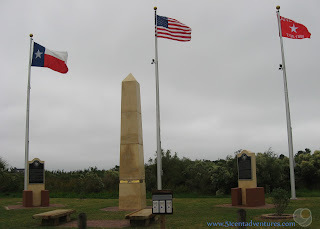 Location: The park is located on the southern side of the Bolivar Peninsula which is across the harbor from Galveston Island. Operating Seasons and Hours: 8:00 am to 8:00 pm. Open all year long. This was the fourth stop of the sixth day of the Texas Coastline Road Trip that my husband and I took our kids on in November of 2014. 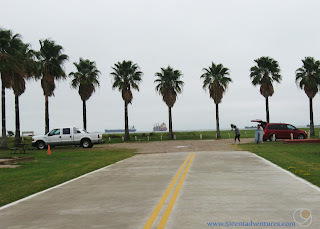 We spent the morning sightseeing in Galveston before driving our car onto the Galveston Ferry which took us across the channel to the Bolivar Peninsula. We then drove about a mile on Highway 87 to the Fort Travis Seashore Park. Before we talk about Fort Travis Seashore Park we need to take a minute and talk about the geography of the Bolivar Peninsula. Galveston Island and the Bolivar Peninsula are on the southern end of Galveston Bay. The island and the peninsula are separated by a channel. Boats, ships and barges sail through the channel to access the harbors in Galveston and Houston. People wishing to travel between the peninsula and the island must take a free ferry. You can camp on the beaches for free as well (as long as you have the parking sticker). But keep in mind that there are no restrooms and only a few porta-potties. You are allowed to drive on the beach to pick out a spot, and you can have a campfire. 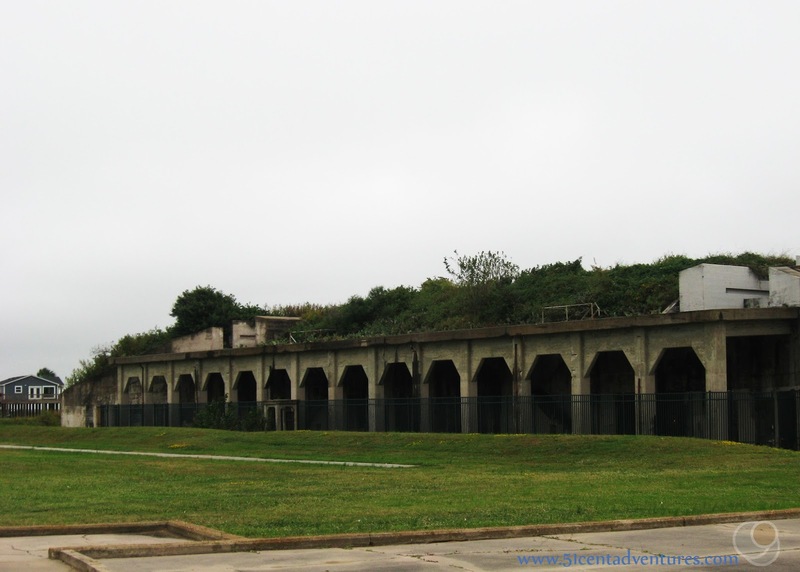 If you come to visit the beaches you might want to plan some time to visit the peninsula's historic sight - Fort Travis Seashore Park. It's a recreational park that preserves the history of what was once a strategic military location. Fortifications on this part of the Bolivar Peninsula date back to 1816, but the current buildings at Fort Travis were constructed in 1899. The fort was expanded during World War II and 2500 troops were stationed there. After the war the fort was sold. 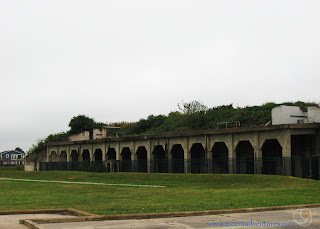 In the 1970's the fort was turned into a park that is now operated by the Galveston County Beach and Parks Department. Back during the war large guns were in place to protect the harbor from enemies. The batteries are still visible today. You can walk right up to the batteries. You can't go inside them, but still it's cool to be able to see them. In addition to the military structures there are play grounds and picnic areas. On a warm day this would be a very fun place to spend the afternoon. However, the day we visited wasn't that warm and we'd already spent the morning sightseeing in Galveston. My family was content to stay in the car on this part of our trip. Still, we did appreciate seeing the large barges sailing past the park on their way into the Galveston Harbor and on to Houston. 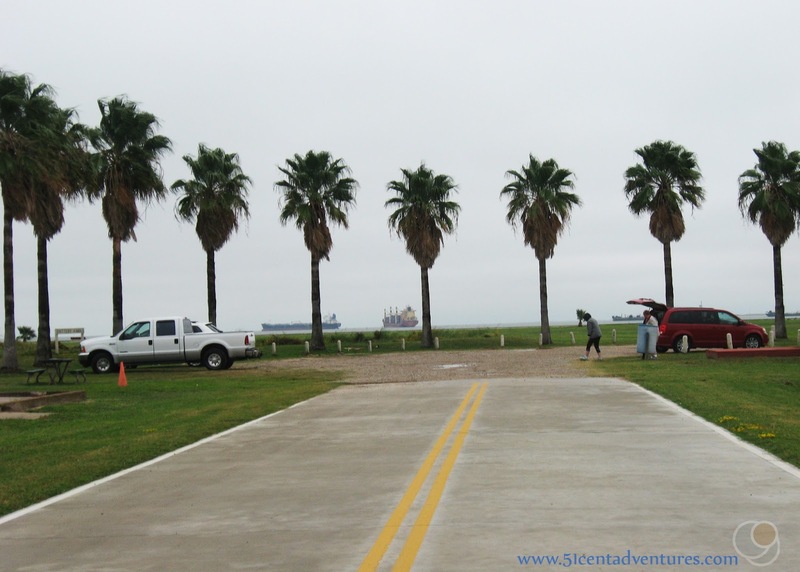 Recommendation: A trip to the Bolivar Peninsula is great if you want to get away from the crowds on Galveston Island. 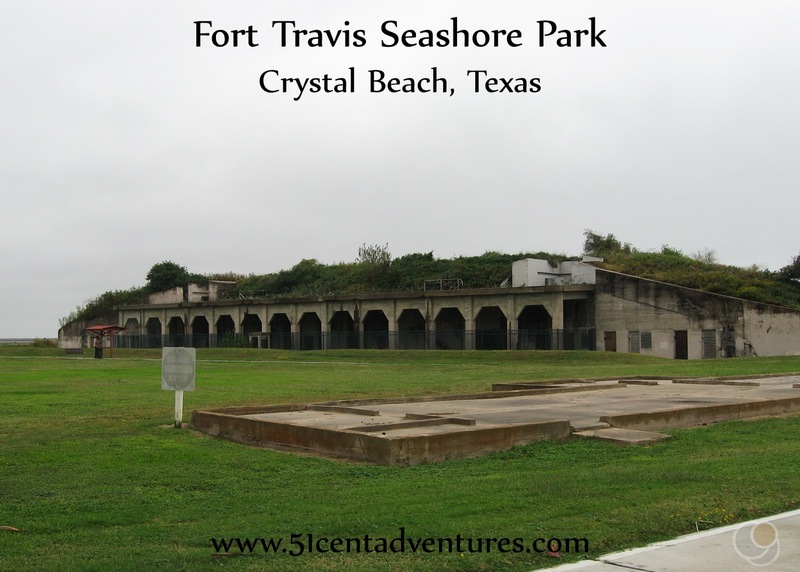 And no trip to the peninsula would be complete without at least a stop at Fort Travis Seashore Park. Directions: Fort Travis Seashore Park is located just off of Highway 87. If you have taken the ferry to the peninsula just keep driving east on Highway 87 for about a mile. The entrance to the park will be on your right. 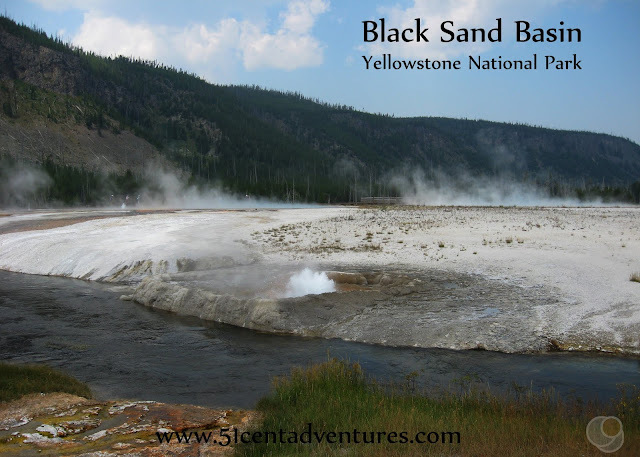 Honestly, there isn't a whole lot to see on the peninsula, so you shouldn't miss the park at all. 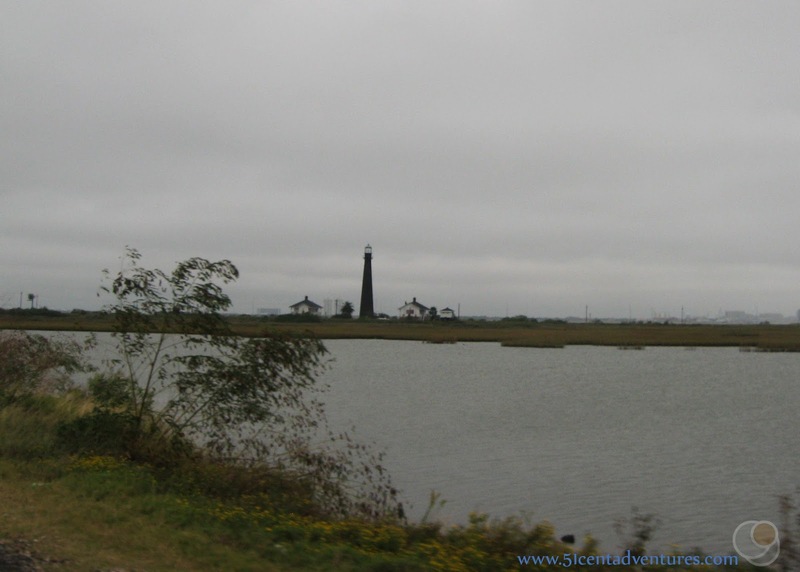 Places Nearby: The most noticeable feature on the peninsula is the Bolivar Lighthouse. 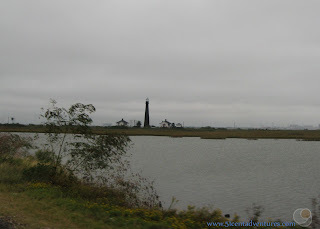 This black lighthouse is visible from Galveston. This lighthouse is 117 feet tall and was built in 1872. It operated until 1933. Originally it was white and black, but it has not been maintained. Rust has accumulated over the years and now the whole structure appears black. Unfortunately, the lighthouse is privately owned and not open for tours.